On Malita-Malika,* the pairing of the German saxophonist Birgitta Flick and the American pianist/vocalist Carol Liebowitz, both classically trained on their instruments, delivers a musical offering that captures the ear and the imagination from the very first delicate-as-lace moments of the opening track, “Moon.” Here we hear the fluid dexterity of Flick’s sax and the drama of Liebowitz’s piano that course through all 11 tracks, including 8 improvisations, 2 jazz standards, and an original composition from Flick that gives the album its name. Liebowitz’s touch—now delicate, now blunt, now muscular, now pensive—captures every nuance of feeling. She marches block chords across the soundscape in thrillingly incremental progressions and arpeggiates shimmering webs of colored sound into being. Liebowitz’s vocal on two tracks—“Marionette/September in the Rain” and “You Don’t Know What Love Is”—reveals masterful phrasing and an affecting ache. She’s as accomplished a vocalist as she is a pianist, and these two tracks are among the album’s highlights. Flick’s sax wreathes itself around the voice while Liebowitz’s piano expands the songs’ possibilities. Flick delivers a beautiful solo, thick with longing, on “You Don’t Know What Love Is,” and Liebowitz’s piano splits the song open like a ripe fruit as her voice deepens the lamentation. Other highlights include a hallucinatory excursion on “Visions,” which resolves into a lovely meditative calm; a heavy, humid, scented air on “Jasmine;” an agile delicacy on “Hummingbird,” with Liebowitz arpeggiating in the upper register behind Flick’s winged sax; and on “Sensucht,” a brief and haunting beauty. What continues to astound is the continuity of the music and its coherence, despite the absence, on most tracks, of any guideposts. The logic of the music remains intact at every moment, even when the two might be at cross-purposes, as they are at the beginning of “Crossed Lines.” These aren’t conversations really, because in conversations, the participants typically alternate their contributions. Here, though, the music is delivered simultaneously by both. It’s more a seat-of-the-pants collaboration than conversation, and the music flows without resistance and without ego, riding on a trust that is rewarded moment after moment. For listeners who give themselves over to the flow, Malita-Malika will reward them, too, taking them to places otherwise inaccessible. Free, improvisational duets, set in an extraordinarily dynamic gamut and occasionally warmed by the elegance of exquisitely stirring lead singing from Liebowitz, are a flawless demonstration of the empathy and understanding that delineates the inventiveness of much free music and of the artists who create it. Though laced with shadowy, unconventional, frenzied perspectives, these may be put aside by this duo, revealing sunnier, inspired instants of rare, harmonious grace. One of the pleasures of this album is to hear free improvisation that sounds composed, such is its quality. That is not to suggest that ‘composed’ is better or sounds better than improvised – it is just one of the pleasures the music may bring. A step further towards the mainstream could not improve it – it would merely be a step too far. A glorious album, exceptionally fascinating, pensive and reflectively poetic, a collection of freely improvised jazz to die for. With the release of the uniquely compelling, exotically titled collection Malita-Malika just a few months after her equally provocative set Spiderwebmandala with clarinetist Bill Payne, NYC pianist Carol Liebowitz continues to showcase her masterful ability to draw listeners in with a dynamic range of free improvisation duets. The new album finds her creating a compelling, multi mood-swinging duality with veteran German tenor saxophonist Birgitta Flick, whom she first met at a Berlin Jazz club in 2010. Four years later, when their paths crossed later in New York, they played together over the course of several months. Full of dark, offbeat, frenetic angles and brighter, lyrical moments of uncommon, melodic grace — sometimes within the same piece — Malita-Malika is the fruit of their extraordinary chemistry. The duo’s set includes nine originals and fresh, dreamscape like strolls through “September in the Rain” (paired as a medley with “Marionette”) and “You Don’t Know What Love Is” — both of which give us an opportunity to hear the multi-talented Liebowitz’s exquisite lead vocals. But this one took me by surprise. 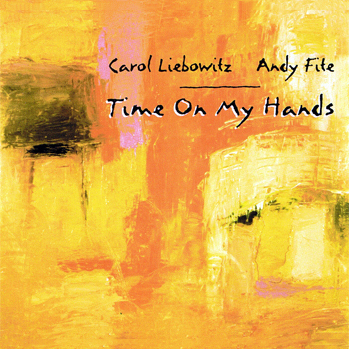 Liebowitz and Flick, who originally met in Berlin in 2010 and again in New York in 2014, are free jazz artists. Their music veers in and out of tonality, constantly shifts rhythms, uses tone clusters and is, for the most part, improvised on one or two short licks rather than tunes in the conventional sense. And they are BRILLIANT. They follow each other in and out of musical nooks and crannies, corners and crevices, sometimes a bit far out but for the most part stunningly together in their musical train of thought. Interestingly, Flick’s method of playing the tenor saxophone uses a dry, vibratoless tone, and possibly a hard reed, which gives her perfect control high up in the instrument’s range. Most of the time, it sounds much more like an alto sax than a tenor, even more so than Lester Young’s dry, vibratoless timbre. (My late jazz friend, Frank Powers, one told me that he thought that Paul Desmond of the Dave Brubeck Quartet was playing a soprano sax because of the same thing, the dry tone—Desmond called it “dry martinis”—and light, airy sound.) Due to their open-mindedness in alternating between tonality and atonality, the duo’s music has a more varied sound and feeling than those musicians who remain adamantly in atonal realms. And the listener is kept tuned in because he or she really doesn’t know what to expect, which makes the listening experience an adventure as well as stimulating. It is both a sensual and an intellectual experience. In a strange way, they almost make you feel as if you were looking into their souls or psyches as they play. A detailed description of their playing would take more space than I have on this blog, but as a general description they alternate between elegant, curved musical lines and edgy ones. In a piece like “Malita-Malika,” they keep the music pared down to basics, almost moving together one note or phrase at a time, and in Hummingbird they actually do simulate the flutter of wings while exploring swirling, bitonal lines, feeding each other motifs, sometimes together and at other times separately. Their sense of unity is so complete that you’d think they had been playing together for years rather than sporadically. I was particularly surprised to see Billy Bauer’s “Marionette” on the program. For those who don’t know, this was one of the tracks recorded in the very first free jazz session headed by pianist Lennie Tristano, back in 1949, and it is oddly juxtaposed with the old Dubin-Warren classic “September in the Rain.” The two don’t really go together, but somehow the duo make it work despite Liebowitz’ whispery vocal. The same may also be said for “You Don’t Know What Love Is,” although Flick’s wonderful a cappella saxophone intro holds one’s attention, and here Liebowitz’ vocal sounds hipper and less ballad-y. The saxist’s fills behind Liebowitz are also very effective in this number, and in the middle section they explore the music instrumentally. Overall, this is a marvelous recording, and I urge you to listen to it. …be sure you SUBSCRIBE to Carol’s YouTube channel, where you’ll find many other performance videos, too. The 5:11 “Visions” is a perfect testimony to the creative juices that flow together in, ’round and through their souls – not to mention their instruments… they first met way back in 2010, and have since toured together extensively… you’ll hear the familiarity and comfort they have established on this dynamic and penetrating piece! I especially enjoyed Birgitta’s original (the title track), “Malita-Malika“, and have little doubt readers who understand that truly good jazz is shaped by the spirit, rather than just being a series of “written notes”… this is definitely THE best piano/sax duo I’ve heard (yet) in 2018. Their marvelous performance together on the standard “You Don’t Know What Love Is“, is definitely not the “standard” your grandpa smooth-danced to “back in the day”… they explore the very inner depths, and the vocal will stir feelings that you thought long lost… I’ll tell you right up front – you’ve never heard this beautiful song performed as well as this. "All the pieces presented here are collective improvisations and the listener’s engagement will undoubtedly be enhanced by the veritable smorgasbord of instrumentation involved. So, when Carol walked to the piano and sat down to play solo the only surprise that it was nothing short of great was: that it was one of the great solo piano recitals since Steinway shot his first elephant. It was outside the category of “great” or “good” and “best” it was phenomenal. The level of honesty and the huge leaps into meaningfulness that took place, not to mention just the great sounds she created. Even if she wasn’t playing stories and spinning lyric portraits for us, just the intriguing sounds she conjured out of that Yamaha were enough.... Somebody like Carol Liebowitz must have already had the germination of such ideas to have searched out Connie to be her teacher so many years ago. A case of the student being ready for the lesson.... Like those ancient philosophers who point out that your most beautiful self is already there from the beginning, that, because of the demands of modern life, it becomes layered and blanketed by our masks and our public persona. Carol’s music this night was somewhat somber, though not melancholic or dark, it just seems related to the seriousness she finds in the music, and then, in turn, what the music tells her about herself. No, she’s not tearing her heart out and flogging it on stage. But, she is being completely open and honest. In a lot of ways it was my favorite concert of the series, it just completely knocked me over. [NOTE to Carol: please release this concert on CD.] We were watching a great spirit reveal herself in the great mysteries of life, and reverence and joy and wonder. The chords were like nothing I’ve ever heard, the cadences so complex and clear you felt like you were watching a master painter like Pissarro taking his canvas out for a spin.... Carol told stories with her music, and what an amazing left hand, wow. It quite simply was one of the greatest solo piano concerts I’ve ever witnessed, easily on the same level as Harvey Diamond’s of two nights previous. Easily on the same level of expression as the Horace Tapscott solo piano recitals of the 1980s (examples of which are found on Nimbus West Records). I had heard her two CDs on New Artists Records but had not heard her play solo before. My big dream is to present Carol, Virg, Kazzrie, and Connie, in Albuquerque, this town would love their music. Carol also makes extensive use of foot pedals. She’d have big cloud formations of dense gorgeous dissonant block chords (like Chris Kelsey says in his great blog review, something about the “dissonant” chords made them seem consonant) and then an abrupt halt and a little crystalline melody would shoot out as she builds another construction of harmony around it.... Carol would reference only briefly, in impressionistic wisps, faint echoes, whatever melody she had used as her departure. That old departure and return, as the classical world would have it. The only tune she announced, was “That was Lennie Tristano’s line ‘Leave Me’” that he wrote on “Love Me or Leave Me.” She chose not to sing this night, on purpose. The other tunes she used for launching were “Out of Nowhere” “What is This Thing Called Love” “How About You” and a few free shots. What is the logic Carol has figured out for these dense chords and how they ring so deep and true, and mostly how she has worked out chord movement, chord progressions, with these monsters, is truly a marvel. There must be inner notes stringing them together, whatever it is, it is pure pleasure to listen to.... She grew up in the Bronx, has lived her entire life in NYC. Earlier, while waiting for an F train she said that she meant to title one of her free improvisations after something Phil Schaap had played on his WKCR Bird Flight radio show that morning — ie. Barry Ulanov’s All-Star Modern Jazz Musicians, Sept. 20, 1947, Bird, Diz, Lennie, Max, Billy Bauer, et al. — that was exactly 62 years ago that day. Well, when she puts out the CD of this magnificent concert she can rectify that oversight. ...she doesn’t sound much like any­one but her­self. Her set con­sisted of a dozen-or-so short, freely impro­vised vignettes. She took care to con­trast each move­ment from the one before it, fol­low­ing loud with soft, busy with laconic. She made good use of par­al­lel har­monies; most of her play­ing was chordal, mak­ing her infre­quent use of sin­gle lines all the more strik­ing. Liebowitz’s con­so­nances were touched with dis­so­nance, and her dis­so­nances pos­sessed the clar­ity of a major triad. The indi­vid­ual pieces, as well as the con­cert itself, were mod­els of con­ci­sion. After each, Liebowitz would look up shyly, as if to cue the capac­ity audi­ence that she had fin­ished, though there was sel­dom any doubt, so well-constructed were her improvisations.